Combi boilers are perhaps the most common type of new boiler installed, favoured by heating engineers and homeowners alike due to their compact size, ease of use and quick and easy installation. In fact, more than half of all new boilers installed today are a Combi. Combi boilers are available in three sizes: 24kW to 27kW, 28kW to 34kW and 35kW to 42kW. The size of system will depend on the size of your home; or more specifically, the number of bedrooms and bathrooms. Combi boilers are especially ideal for smaller houses and flats. If you have more than one bathroom or shower they might not be the best option. You can only run one hot tap at a time and the water flow rate is lower compared to other boiler types. How Much Does it Cost to Install a Combi Boiler? Costs will depend on a number of factors, including the size of the boiler, whether radiators need replacing and the length of the flue to vent waste gases. It will cost more if you need the cylinder in the bathroom removing, or if the engineer has to remove an old water tank from the loft. It means a bigger job and more work for the installer. According to a Which? survey a new boiler replacement in the same location will typically cost around £600, but this can be as much as £1,800 if the boiler needs moving to a different area. Installation costs will also depend on the area, and the company carrying out the installation. For example expect to pay more if you instruct a heating engineer employed by one of the ‘Big Six’ energy firms, compared to a smaller independent Gas Safe Registered engineer. Modern condensing Combi boilers are designed to convert at least 90% of fuel into heat, so they are very efficient and will help you save money on your energy bills – up to as much as £310 a year if you’re upgrading from an old G rated boiler. 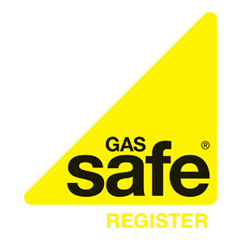 Make sure you get the best possible price for your new Combi boiler by getting free quotes from Gas Safe Registered heating engineers in your local area. Once you’ve received your free quotes you can choose the quote which best suits your needs.